Cast members of Beyond the Barricade by Heroes for Hospice pictured at a recent event for Ballina Salmon Festival supporters and sponsors in Belleek Castle. Photo: Henry Wills. 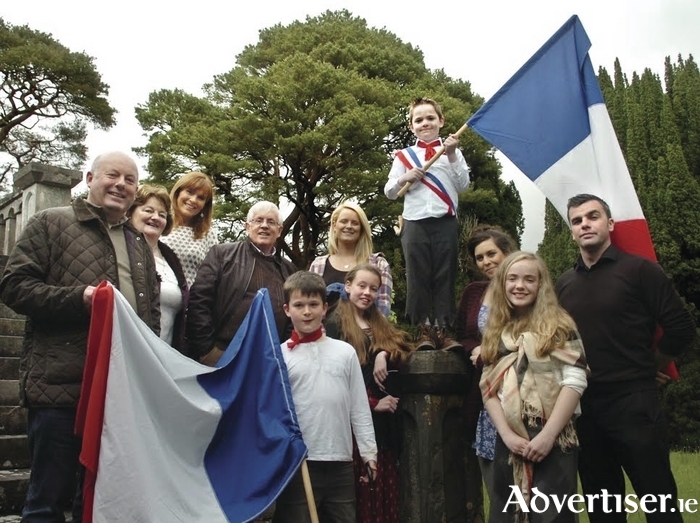 The town of Ballina is set to ring with shouts of 'Vive le France' once more, as the local Heroes for Hospice charity musical group is making a to return to the barricade. The 80 strong cast of all ages, directed by Lavinia Gilmartin, thrilled sell-out audiences for four nights in a row in Ballina last December and a further two nights in Castlebar's Royal Theatre in January with their breathtaking musical production, Beyond the Barricade. The Les Miserable-inspired show was devised, written, and staged in aid of Mayo Roscommon Hospice Foundation. Set to a phenomenal musical score, it is a timeless testament to the survival of the human spirit. Now, Heroes for Hospice is thrilled to announce that it is to return to the stage of Ballina Arts Centre on Monday and Tuesday next, July 6 and 7, at 8pm. These further performances of Beyond the Barricade are in support of the 2015 Ballina Salmon Festival, which begins on Wednesday, July 8. Tickets cost €15 and are available now from the Ballina Arts Centre box office. Telephone (096 ) 73593. Heroes for Hospice has also revealed that it is currently fundraising to take the show to Dublin and the UK later this year. Members are appealing to Tesco shoppers in Ballina to consider donating their blue tokens to the Heroes for Hospice collection tube at checkouts in the Market Square store.